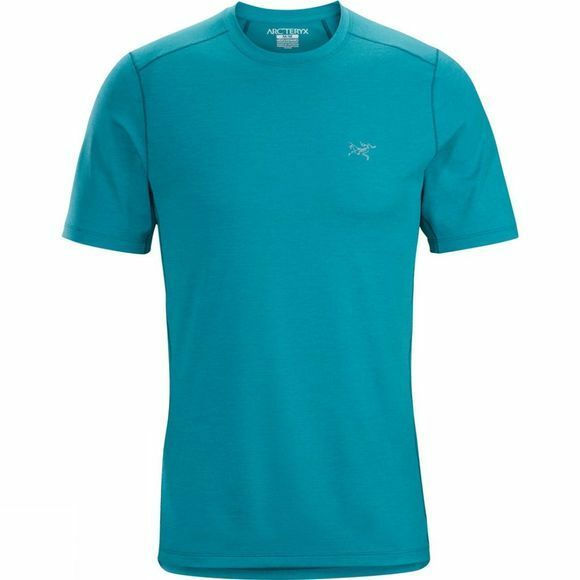 The Cormac Comp SS is a technical shirt for hot weather mountain running with versatility to perform across a range of activities and environments. The design and patterning are specifically selected to maximize fabric performance, enhance freedom of movement, and elevate air flow, while giving a look that transitions to hiking or daily wear. Based on the same stretch knit fabric, Ostria, known for excellent moisture wicking and sun protection, the Cormac Comp SS adds highly air permeable Reza mesh fabric in the side panels. No reflective blades enhance cross-over versatility.